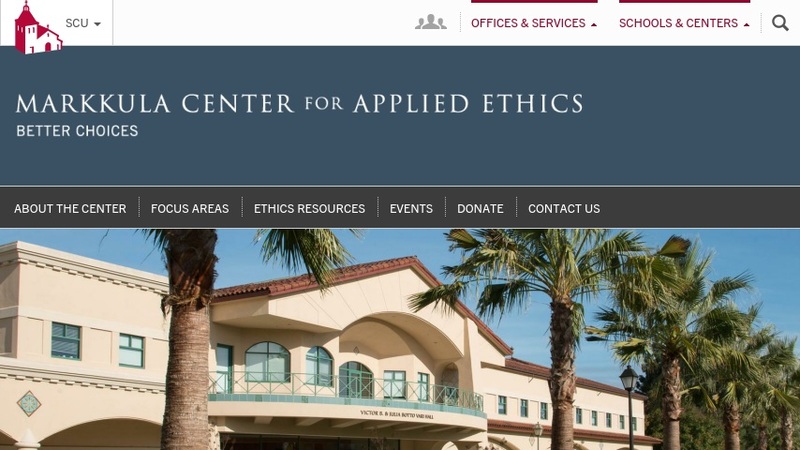 Based at Santa Clara University, the Markkula Center for Applied Ethics concerns itself primarily with investigating such topics as character education, global leadership, business ethics, and health care ethics. From the Center's homepage, visitors can peruse many of these topics, and also locate useful teaching resources that will be of use to those who hope to incorporate some of these themes into their own courses. The Publications area is worth a look as it contains articles on such topics as "Is it Ethical to Shop at Wal-Mart?" and "Dying with Dignity." For visitors who plan on visiting over an extended period of time, there is a section on the homepage that allows them to quickly access the most recent materials added to the site. The site is rounded out by a thematic organization of helpful external links, organized around such topics as ethical theory and public policy.